When you hear the name Rolex, most of you automatically think style, sophistication and technology. Well, the new ROLEX Oyster Perpetual Sky-Dweller is living up to the Rolex brand. 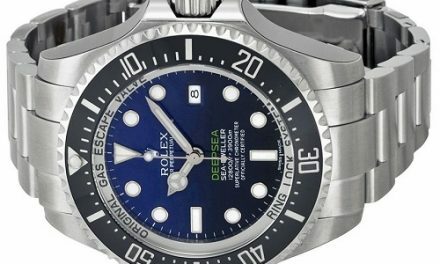 This new watch has features that are new to the Rolex brand and has never been seen on other high-end timepieces. 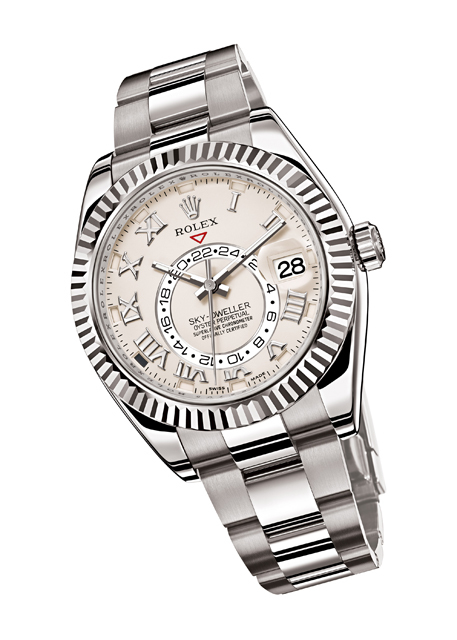 The Rolex Oyster Perpetual Sky-Dweller watch is full of innovative and high-tech features unseen by other watches. The annual calendar is part of Rolex’s unique Saros system which is based on the alignment of the sun, the moon and the Earth. The system works with a planetary gear wheel (fixed) at the movement’s center. A satellite wheel interacts with what’s known as planetary wheel and rotates and orbits the wheel in one month. The satellite wheel has four fingers which represent the four months of the year with thirty days. When these fingers reach a certain point at the end of their month, they force the date to jump two days in those thirty-day months. After one complete year, the system realigns itself to its original position. The Saros system is what gives the calendar its ability to function as each month is displayed in apertures around the circumference of the watch for quick and easy viewing. With two time zones, overseas travel or conducting business half way around the world is made easy. So if you need to make a call to someone in Asia, you will know what time it is there and whether or not it is a good time to make your call. Finally, the Calibre 9001 is Rolex’s newest high-performance chronometer developed completely by Rolex. It has even passed the Swiss Official Chronometer Testing Institute, tests meaning it is highly reliable as well as being high in performance. When it comes to the Rolex Oyster Perpetual Sky-Dweller, there was not much to dislike. Recommendations A Rolex watch is certainly not for everyone. It is a high-end watch that packs a rather large price tag. However, if you have the means or desire to own a watch that is not just classy, but also synonymous with quality and has the latest technological advances that you simply will not find in any other watch, and then the Rolex Oyster Perpetual Sky-Dweller is worth the investment.